From the Mountains of the Central Valley to Palm Fringed Beaches. Time for some to bring out your inner Tarzan! This Costa Rica vacation package will have you loving the Central American jungle. Start at the misty mountains of the Central Valley at the Xandari resort where the emphasis is firmly on health and relaxation. From the Central Valley you head North to endless adventures in the region of Arenal Volcano. Enjoy the hospitality of the Arenal Springs hotel in the jungles of La Fortuna. Enjoy volcano views, private jungle walks and two pools, one of which is heated and has a swim-up bar. As its name suggests, Arenal Springs also features on-site hot springs for you to relax. 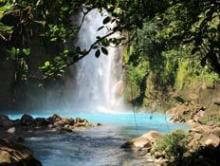 In La Fortuna you will also find a huge array of tours to enjoy. Then, go to Manuel Antonio where you will visit one of the most stunning beaches in the country, surrounded by lush vegetation and blue waters. Visit the country’s most famous national parks and wildlife refuges, and go back home refreshed from your time in nature. Exclusive Airport ‘Meet and Greet’ service—we’re there as you get off the plane so you have a stress-free arrival. Private transfer to Xandari Resort & Spa with an English-speaking driver. One night lodging at Xandari Resort & Spa—including continental breakfast. Private transfer to Arenal Springs with an English-speaking driver. Three nights lodging at Arenal Springs—including breakfast during your stay. Private transfer to Tulemar Resort with an English-speaking driver. Four nights lodging at Tulemar Resort. Private transfer to the San Jose Airport for your flight home. Arrive in San Jose where one of our representatives will meet you and show you to your private transfer. From here, go to the Central Valley mountains and stay at the Xandari Resort. Take a private transfer to the region of Arenal where you will stay at Arenal Springs. 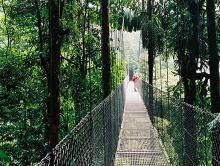 Take a tour of Arenal via hanging bridges. See nature up close, and be dazzled by the astonishing views of the majestic volcano. Spend the rest of the day lounging at the on-site hot springs, refreshing yourself in its rejuvenating waters. Take a private transfer to visit one of Costa Rica’s most stunning natural landmarks: Rio Celeste. Your friends will literally not believe your pictures! Hike through the national park, and take in the beautiful variety of animals and plants. Return home after a day exploring this secluded jungle. A private transfer will take you to Manuel Antonio where you will stay at Tulemar Resort. 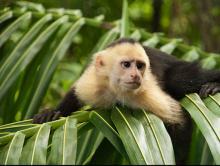 Visit Manuel Antonio National Park, one of the country’s most stunning natural reserves. 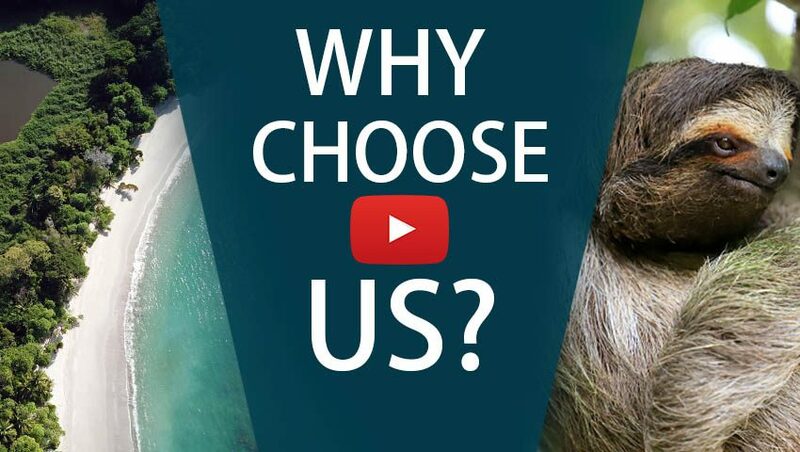 See lush vegetation and the most beautiful beaches in the region. Relax by the swimming pool, sunbathe on the private beach, or leave the complex and visit Manuel Antonio itself. A private transfer will take you to San Jose International Airport where you will catch your flight back home. Visit Tenorio Volcano National Park and hike seven kilometers through the tropical rainforest. Enjoy the spectacular waterfall and enjoy a traditional Costa Rican lunch before returning to La Fortuna.